I had never even thought to wonder, 'How many artists are also Super Bowl fans?' In the United States, at least, it seems like quite a few. As surprising (or not) that may be, it turns out that famous galleries are also getting in the betting action, and have been for quite some time. There is apparently a long and storied history of famous galleries and museums in the hometowns of the competing teams making bets with each other on the outcome of the game. Not for permanent dispensation of their valued works, of course, but simply for a loan period of a few months - and, of course, some bragging rights. While it doesn't happen every year, in 2011 Pittsburgh's Carnegie Museum of Art bet against the Milwaukee Museum of Art - and lost, having to endure a 3 month loan of "Bathers With Crab" by Pierre-Auguste Renoir. The Milwaukee Museum of Art had wagered "Boating on the Yerres" by Gustave Caillebotte. This year's friendly bet was between Kimerly Rorschach, the director of the Seattle Art Museum, and Christoph Heinrich of the Denver Art Museum. 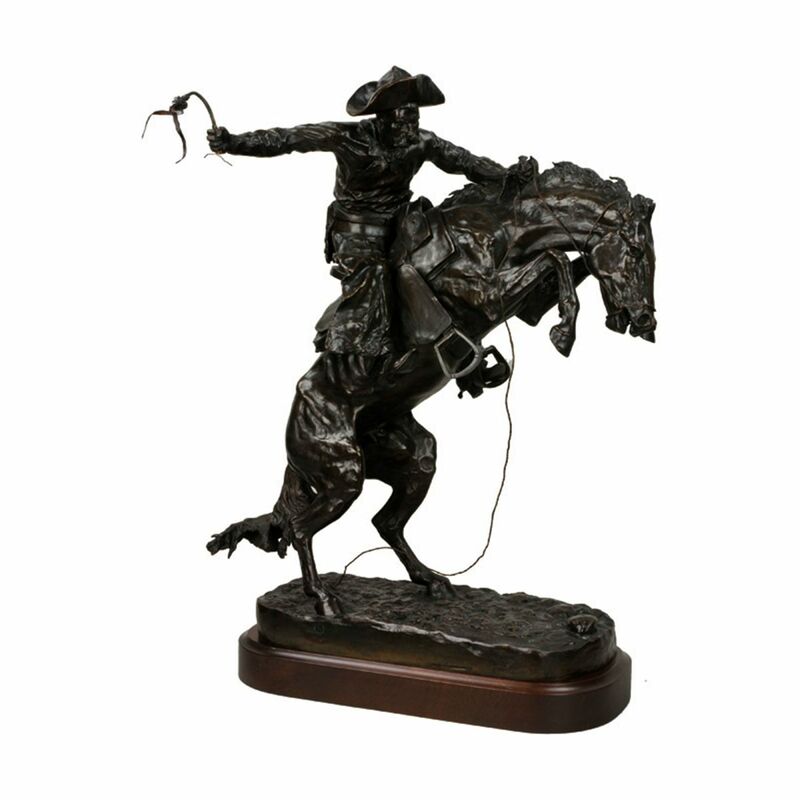 The Seattle Seahawks absolutely demolished the Denver Broncos, and as a result, the Seattle Art Museum is enjoying a temporary loan of the famous bronze Frederic Remington sculpture "The Broncho Buster" from 1895, which features a bucking bronco being tamed by a whip. Had the Broncos prevailed, however, they would received a loan of the "Sound of Waves," a beautiful 12 foot wide screen painting by Japanese artist Tsuji Kako from 1901. "Sound of Waves" features an eagle, not a Seahawk, but as Seahawks are an entirely fabricated species, it serves well enough as a trophy. Initially, however, the Seattle Art Museum had gotten into some very hot water with Native American rights groups over their first choice of bet, which was a raven mask dating back 135 years, and considered a sacred spiritual object by Nuxalk Nation in Canada. Fortunately for all involved, as soon as the director learned of the problem. the Seattle Art Museum was happy to offer up the aforementioned piece by Kako in place. Even better, Rorschach apologized to Charles Nelson immediately via telephone, one of the Nuxalk Nation leaders, and agreed to return the mask to the Nuxalk Nation in Bella Coola, British Columbia, and to make a formal public apology.